Involving your staff in fundraising events is not only good fun it’s an excellent opportunity to encourage team building skills, allow employees to manage a project and develop skills which may not usually fall into their field, both of which increase morale and individual esteem. Running your own event or taking part in a Bridge Trust one such as the Sleepout can also enhance your image with your staff, the local community and your clients. We have plenty of ideas so please contact the office. Businesses, large and small can help The Bridge Trust and our work in many ways; through volunteering, donating goods or services and of course by giving financial donations. For those businesses who support us in these ways, we would like to show our gratitude by giving you something in return. We therefore offer you the opportunity to join our Business Stars scheme where, depending on the level of support your business gives, you receive the benefits of either a Gold, Silver or Bronze, Business Star. Click here for further details. Gallagher is Kent’s premier building, civil engineering, quarrying and property business, with an enviable reputation for doing things properly and getting things done, while still caring about the local community and environment. From its beginnings as a civil engineering and groundworks contractor, the Gallagher Group has grown over the last 40 years to have an unrivaled reputation for offering the best in civil engineering, property development, design and build contracting and quarrying. In 2004 husband and wife team, Paul and Lisa Tarsey, decided it was time to revolutionise the way care in the home was delivered. By concentrating on the highest quality customer service whilst upholding the very best in professional care provision, together they built one of the UK’s largest providers of care and support for people that wanted the choice to stay in their own home. In less than eight years they have grown from one business to 200 delivering 20,000 customer visits every day. Bluebird Care is based around the belief that each customer is unique, with their own individual preferences and needs. This allows people to remain in control, being provided with the homecare and support that they want, where and when they want it. Based in Tunbridge Wells, Kent, Rosie Harris has over 20 years of graphic design experience. Along with a Degree in Visual Communications from Ravensbourne in Kent, Rosie gained her extensive graphic design experience in London agencies before going it alone and setting up Girl Friday Graphics in 2009. Over the years, Rosie has worked for a wide range of clients, from household names such as Barclays, Vodafone, Hotel Du Vin and Cancer Research UK, to SMEs and fledgling, start-up businesses, on a diverse range of projects, both large and small. Rosie particularly enjoys, and prides herself in really getting to know her clients and understanding their businesses, and feels this helps produce the best results. CO-OP Funeralcare has branches in Tonbridge and Tunbridge Wells, which came together to support The Bridge Trust. A local funeral director is available 24 hours a day, 7 days a week, so they’re always there as someone to talk to. All staff are professionally trained to the highest standards and understand the needs and feelings of the bereaved and the importance of spending time helping families to plan a funeral that truly reflects the life of an individual. CBS Consultancy is based in the southeast serving London, Kent, Surrey, Sussex, Essex, Hampshire and the home counties. They have many years’ experience in both Architectural design and Building Surveying and are Chartered Building Surveyors, Chartered Building Engineers and Chartered Architectural Technologists. 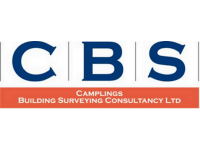 At Camplings Building Surveying Consultancy they pride themselves on providing a personal service to each and every one of their clients. You can be assured that you will be dealing directly with one of the two directors of the practice, Nic Cosmos Dip Surv MRICS FCABE C.Build E CUEW MEWI and Nick Turner MCIAT MCABE C.Build E to ensure that you receive the best possible service. The Grove Tavern is arguably the oldest & smallest traditional pub in the old village area of Tunbridge Wells, dating back to the mid 17th century. Taken over by Steve Baxter in early 2003 & helped by a very small, select team of staff, they strive to continually improve & provide a welcoming haven in which to enjoy good drinks, good friends, good conversation & above all, good fun. Our goal is to understand and look at the needs of the business and to apply our technical expertise and product portfolio to ensure your company has all the tools and infrastructure to keep them competitive in their market place. Howdens Joinery is the UK’s largest manufacturer and supplier of fitted kitchens, appliances and joinery products from local stock. Howdens offers a choice of over 70 inspirational kitchen designs, plus a full range of accessories, worktops, handles, sinks, taps, flooring, doors and a wide variety of Lamona appliances exclusive to Howdens. We are a trusted, trade-only business that has been selling to trade professionals since 1995. Last year we supplied over 400,000 kitchens, 2.5 million doors and 770,000 appliances to UK homes. We understand what it takes to create a kitchen that looks great, fits perfectly and most importantly, works – every time, every day. That’s why we only sell our products directly to professionals like your local builder. Empty inkjets (except Epson)? Don’t throw them away. Drop them into us and help our cause whilst saving the landfill. If you have large volumes, why not register and send them directly to Recycle 4 Charity. Do you Sell things on eBay? Donate some of your sale proceeds to the Bridge Trust – just select us as your charity when listing your items and eBay does the rest. Now you can shop online at all your favourite stores and raise funds for The Bridge Trust at the same time – at no extra cost to you! Categories include: Fashion & Beauty, Home & Garden, Entertainment, Travel etc. There are over 2,000 retailers to choose from. Just click on http://www.easyfundraising.org.uk/causes/thebridgetrust and start shopping!